The topic of my blog will come as a big surprise for anyone and everyone who knows me in person. I have been a very vocal supporter of Modi and suddenly when I post a blog with the title Rahul is better than Modi, it is bound to shock many. Without wasting much time let me elaborate on my reasons for rating Rahul ahead of Modi and it will clear things off for everyone. 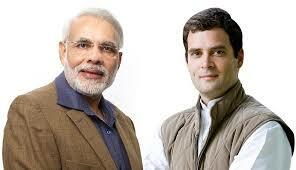 Look at Modi and you will realize that becoming the PM of the country is such a daunting task. One has to live like a monk, work hard at the grass root level in a party, struggle through your way up, rule a state to prove that one has administrative and leadership qualities and finally make it as PM of the country. Now look at Rahul Gandhi and you will be inspired to think big. He is one of the most foolish person in the country and yet he thinks that he can be the PM of this country. Does he not inspire you to go beyond all your limitations? Think positive is what you get to hear a lot in most motivational talks that you hear by all the motivational speakers in the world. Who better than Rahul Gandhi to be a living example for this? Compare Modi and Rahul based on my above statements and you will realize that Rahul inspires you more than anyone in this country. Modi doesn’t even look worthy to stand in the same frame as Rahul. Modi has made us cry. Demonetization, GST, Fuel prices etc have cost us more pain. I think even a very close friend abusing you and insulting you does not hurt as much as Modi’s actions. He can only bring tears in our eyes. Forget about ever making us even smile. On the other hand, even thinking of Rahul Gandhi is enough for us to laugh. Just imagine how much more laughter is in store if you get to see and hear him. He just doesn’t let you down. No matter how much the Congress has looted this country through rampant corruption, one just feels like forgetting everything and keep laughing when Rahul Gandhi is talking. On humor sense front also as you can see, Modi just can’t beat Rahul Gandhi. In fact, he doesn’t even come a close second. Modi does not understand poverty at all. He wears the priciest of clothes and is always visiting foreign countries. He seems more like a sales and marketing guy roaming around and spending the taxpayer’s money on his foreign trips. Modi has dinner with high profile Prime ministers and Presidents from different nations. Think Rahul Gandhi and you will remember how he had once reached a venue to give a speech wearing a torn kurta. He didn’t even have money to get the kurta stitched. He can be seen having food with poor people in their huts. Who do you think understands poverty better? Isn’t it Rahul Gandhi? It is my appeal to every Indian who will vote next time during Lok Sabha elections that they should vote for Rahul Gandhi for PM. With Rahul Gandhi as the PM of this country, one can be assured that no matter how much pain we would go through in his governance, he will ensure that tears do not roll out of our eyes. Even if it does roll out, it would be because of the excessive and uncontrollable laughter induced pain in the stomach that would be the reason for the tears and not like the ones Modi brings to our eyes.